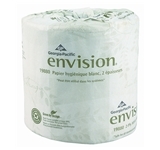 Cleans easily: Pre-moistened towels remove grease and grime from hands without leaving gritty residue. Feels like cloth: Soft and durable materials are easy on the hands and tough on dirt. Works where you do: A portable, water-resistant pail keeps towels within reach. Reduces waste: One-at-a-time dispensing and added wiper protection lower waste and controls cost. Smells good: A clean fresh scent is a welcome enhancement.